Ryan Coogler has proven to be one of the most versatile filmmakers working today, whether it is a small indie-drama in Fruitvale Station, reigniting a franchise for a new generation in Creed, or embracing the very best that the Marvel Cinematic Universe has to offer with Black Panther. This film perfectly balances everything that makes the MCU as beloved as it is. The humor is there and adds a nice sense of levity when needed, but never undercuts any dramatic tension. The action is filmed expertly and filled with tension, even when you think there wouldn’t be any. Most importantly, however, Coogler does an incredible job with the characters. Not just T’Challa but the entire cast alongside him are fully realized, making this one of the most emotionally satisfying films in the franchise. Chadwick Boseman continues to prove he is one of the strongest leading men in Hollywood. As King of Wakanda he has a presence that truly demands respect and is, at points, chilling. There is never a moment where it feels like this is a character being played by an actor; Boseman simply is the king. 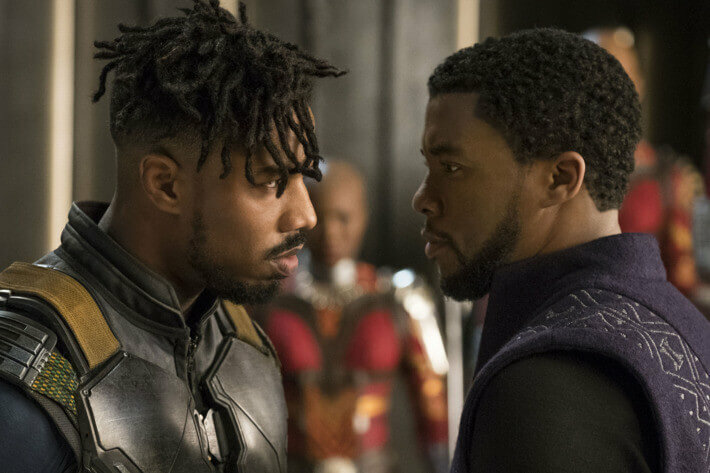 With all of that, it is astounding that Boseman walks away with the second best performance in the film, as he is topped by Michael B. Jordan. The performance Jordan gives as Killmonger is one rooted in sympathy as well as real world problems. Jordan uses these ideas to his full advantage in order to strengthen his performance. This character could have been played in a very simple way that had little impact, but with an actor of this caliber it transcends any expectations. Another notable stand out is Danai Guria, who portrays a truly powerful member of the Dora Milaje and proves to be an excellent compliment to Boseman. The rest of the supporting cast, including Lupita Nyong’o, Andy Serkis and Letitia Wright, are all excellent and help round out one of the strongest casts in the MCU. Another aspect that makes this film stand out amongst the rest of the MCU is the lived-in, real-world feel of Wakanda. Visually, it is breathtaking and truly a marvel to look at. Not only that but it feels like a place that exists and is home to a real thriving civilization. This helps with the film’s immersion and gives it all so much more weight. Alongside the world of Wakanda, the film’s immersion is very much rooted in the pacing. This is something that has been criticized by many, but honestly, nothing drags or feels rushed; everything happens in the most effective way possible. While, yes, the pacing isn’t an issue in this review, that isn’t to say this film is without issues. It doesn’t have as many to warrant any major complaints, but at times there is some questionable green screen that may be the result of re-shoots, but that is just speculation. Alongside that come more visual effects problems, specifically with the CGI. There is only one moments where it is dreadfully noticeable, but it does stand out enough that it warrants a mention. It honestly reminded me of early 2000’s comic book films, where everything and everyone looked rubbery; it was laughable at the time, but now it feels inexcusable. Despite these few flaws, the film manages to emerge triumphant among the pantheon of the MCU. It’s political commentary is effective, never feels overbearing and leaves a lasting impression. It highlights the very best of what the MCU has to offer and improves upon issues it has had previously. Black Panther, while not a reinvention of the superhero film, manages to embrace the genre and does almost everything better than most of its peers. 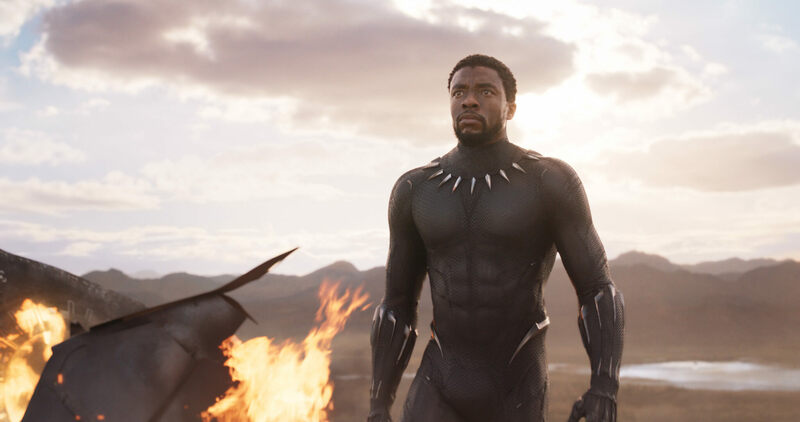 Black Panther, while not a reinvention of the superhero film, manages to embrace the genre and does almost everything better than most of its peers.